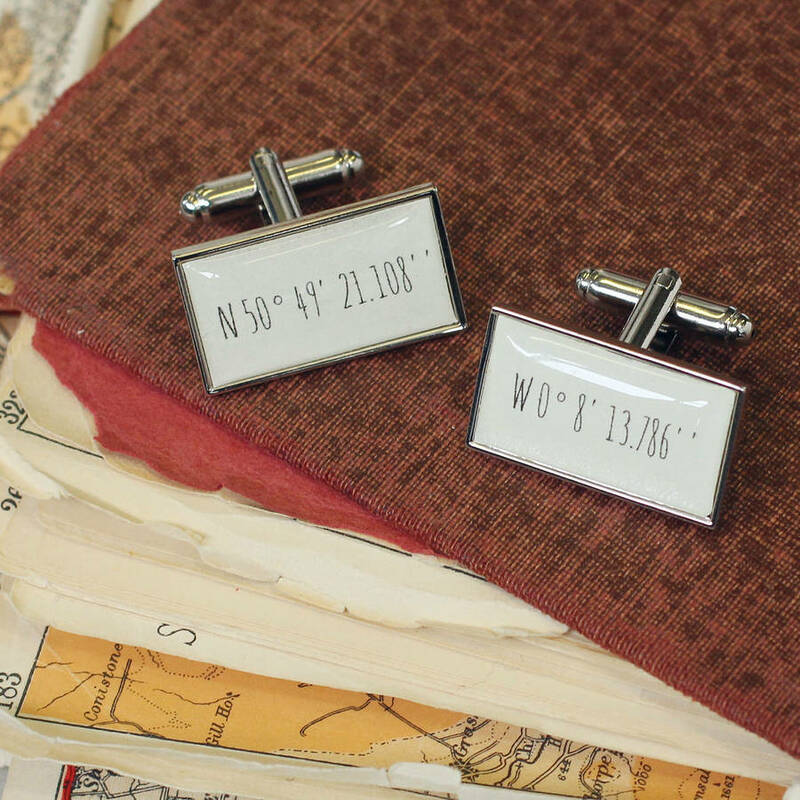 A personalised pair of Latitude and Longitude rectangular cufflinks. 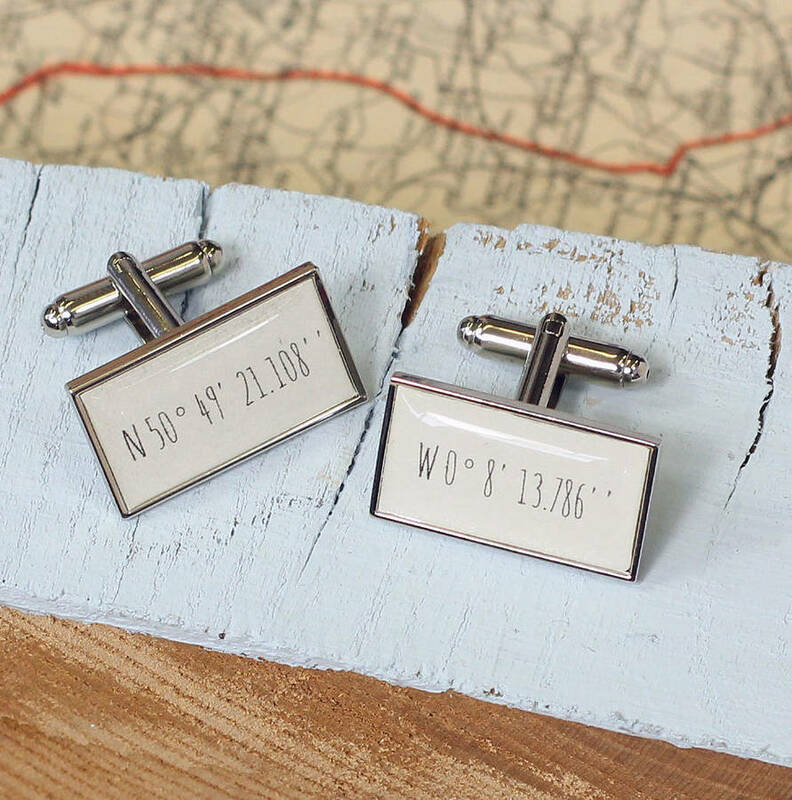 These personalised cufflinks are great if you're looking for something a little different. Simply let us know your special location and we will source the latitude and longitude co-ordinates and set them beneath a resin dome. 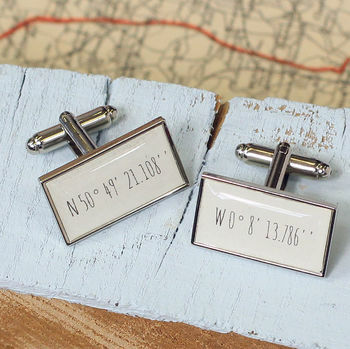 Whether it's a birthplace, where you met or a favourite destination, the design of these cufflinks mean that your co-ordinates are subtle, making them the perfect personal gift. resin dome, silver-coloured nickel plated cufflinks.